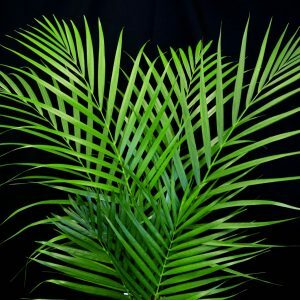 Bright green stems and leaves averages 16″ x 16″. Price is per stem. 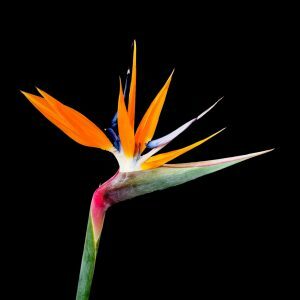 The bird of paradise’s unusual shape and brilliant colors has made this flower not just a designer’s favorite, but also a popular symbol of paradise. Large flat green leaves. 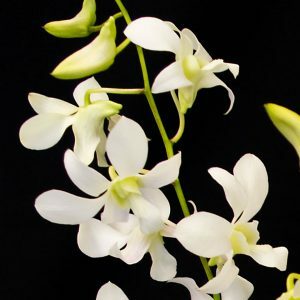 Averages 6″ x 23″, including stem. Price is per leaf. Bright green and yellow blade-like fronds 1.5″ x 16″ can be shaped in a variety of ways. Great filler in flower arrangements. Price is per stem. Bright green branching fern adds interesting texture and color to flower arrangements. Price is per stem. 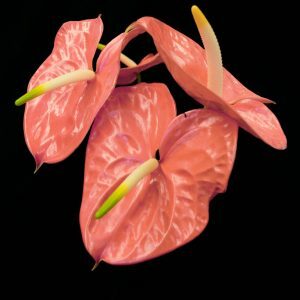 Distinctive 2-toned heart-shaped anthuriums that come in pink, peach, or red with green “ears”. Sold per stem. Long-lasting upright flowers great for any size arrangement. Dark red heart shaped anthuriums. Sold per stem. Smaller than green ti, color varies and may only have red striping at edges. Averages 5″ x 19″, including stem. Price is per leaf. High color and long-lasting upright flowers great for adding height to arrangements. Dainty tulip style anthuriums. Sold per stem. Easy and versatile, these cheery yellow flowers are great alone or with other flowers. Packaged 5 stems per bunch, 60% of buds open.